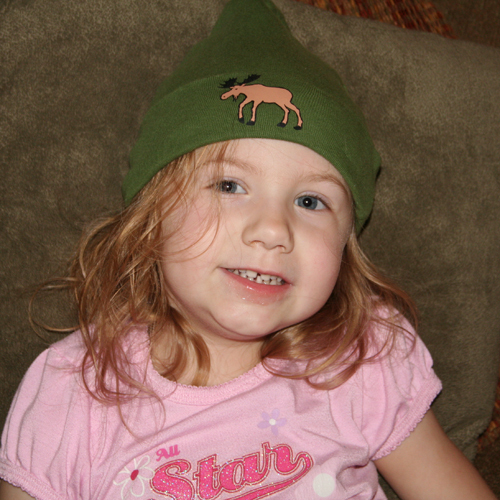 Despite the hat being for a smaller person, Emily decided that she loved this Moose hat. She had to wear it to bed the other night. She was quite proud as seen in the sparkle of her eye.